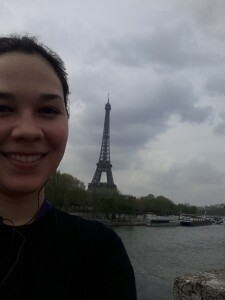 In my effort to keep up my training during CHI 2013, I completed my long run today along the Seine River. 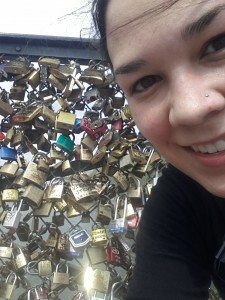 Accidentally ran into a few landmarks along the way. 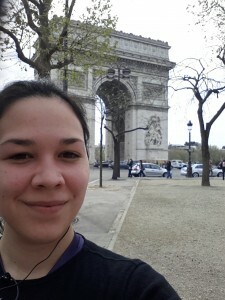 I started near the conference center going towards to the Arc de Triomphe. From there I headed down Champs-Élysées. The was the best part of the run because it was a gentle downhill slope the whole way. 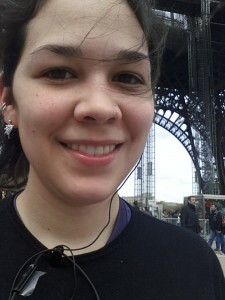 Caught a glimpse of the Eiffel Tower from the other side of the water. Notice the lovely springtime weather in Paris this week. Crossed over the water along “lover’s bridge” at the 4 mile point but forgot maths and and geometry and headed in a triangular trail which would end up being more than 8 miles (I had just completed the hypotenuse of my run). 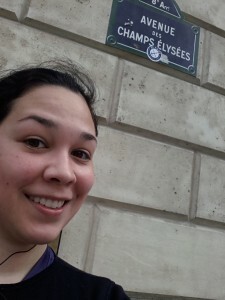 Took a victory lap around the base of the Eiffel tower and headed home thinking of lunch! Ended up being roughly 10 miles all told, at a terrible pace due to the constant stopping/starting for traffic and sightseeing. But it was important to just get out there and run! This training is all going towards the half marathon in Edinburgh this May. I’m running the half in memory of my mother for the Bowl Cancer UK Charity. Donate and become part of an excellent cause!